PALMDALE – Palmdale Sheriff’s Station detectives are seeking the public’s help in locating a suspect wanted for domestic violence and a suspect wanted for attempted burglary, both believed to be in the Antelope Valley. If you recognize them and know where they might be located, contact detectives using the information next to the suspects’ photos or by calling 1-800-222-tips (8477). 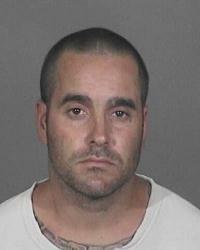 Sean Fenton is a 36-year-old male with brown eyes and brown hair. He is approximately 5 feet 10 inches tall and weighs around 180 pounds. Fenton is wanted for domestic violence. There is a $25,000 warrant for his arrest. Fenton is known to frequent the 2600 block of Sache Street in Acton. Anyone with information on the location of Sean Fenton is encouraged to contact the Palmdale Detective Bureau at 661-272-2400. 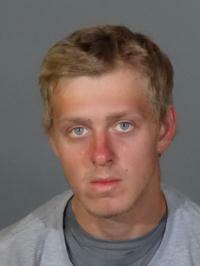 Dylan Melton is a 19-year-old male with blue eyes and blonde hair. He is approximately 5 feet 7 inches tall and weighs around 160 pounds. Melton is wanted for attempted burglary. There is a no bail warrant for his arrest. Melton is known to frequent 500 block of East Avenue G-4 in Lancaster. Anyone with information on the location of Dylan Melton is encouraged to contact Palmdale Detective Hall at 661-272-2456. 10 comments for "Palmdale Station’s Most Wanted"
Close friend nearby- yeah i know a lot of good hearted dirtbags too LOL Clearly he is not a kid, he is definitely old enough to be held accountable for his actions. “He had a rough patch in life” smh haven’t we all, it in no way justifies his actions. If he is truly trying to get his life back on track best wishes to him. Whether he is or not he still has to man up and deal with this. Being hungry is no excuse for breaking into a place of business especially when there are so many available resources available. If you dont try to help yourself it’s ok because you get an obama phone, food stamps, cash aid, motel vouchers, etc.. Not like us in the workforce.. Stupid cops huh…yeah you are one of them.. The law is the LAW! “CLOSE FRIEND NEARBY” seems to paint this young man out to be next in line for the Holy Trinity. If he is so impeccable, and such a wonderful person, why doesn’t he turn himself in, face the proverbial music, and get his “mistake” behind him? No? That’s what I thought…. Did va vote for trump, David? CLOSE FRIEND NEARBY=TYPICAL LIBERAL RAMBLING. You really need to up your argument. Have you ever heard the saying “Not all conservatives are stupid people, but all stupid people are conservative”? Think about it, you might understand it after you read it a few times. As his close friend you should also tell him to walk in and see his parole officer. That is how one gets past those rough spots… by following directions. Good person or not, he’s going to need to own up to his mistake. Being on the run will not making thinks better, but it will make things worse. The charges will not go away, but he can plea down for a lesser charge. The sooner he turns himself in, the sooner this will be over.